Every September for the last 16 years, I’ve had to call up my local phone/internet/tv provider and negotiate new, cheaper rates and/or better service for my home for the next 24 months of my patronage. That 20-minute phone call always leaves me feeling melancholy. On one hand, in retrospect, my in-home media provider (of which I’ve been a customer for a long time) tried to charge me 30% more premiums for the exact same service that they offered to me, post phone call. On the other hand, I’ve just saved myself about $2,000.00 over the next two years – which comes with great personal pride and satisfaction. The underlying issue is this…If I didn’t know to reach out to this company to renegotiate my own personal charges every two years, I’d blindly pay more for the exact same service. It’s not like they are sending out any correspondence to me, stating “Hey Kris, your rates could be cheaper, if..”. It’s just not happening. I’m here to possibly break some bad news to you – if you are participating in the Federal Employee Group Life Insurance (FEGLI) Option B plan, you just might be overpaying for your life insurance protection, especially if you enjoy good health! And much like my example above, the government employee will not get a notice of the newly increased premiums. But, all is not lost, and you can save an incredible amount of money by reviewing your FEGLI Option B benefit and consult with a reputable life insurance agency who specializes in FEGLI products. You may know that FEGLI Option B coverage is calculated based on your chosen multiple of your income, either 1x through 5x of your annual salary. Your premium is based on the total FEGLI Option B coverage, multiplied by an insurance charge rate at your current age. And here’s where it gets tricky – that premium increases every five years the month after you turn 35, 40, 45, 50, etc.. to age 80, and your premium within your check stub merely increases and your take-home pay simply decreases accordingly. No notice, no Email, absolutely no correspondence to you. Most surprising to me and to those government employees that we’ve helped – it can be as high as a 120% immediate increase! That’s the equivalent of paying $100 one month and $220 the next month for the identical life insurance protection. I’ll give you a real world example of a government employee client that we helped just two weeks ago. This client was a 54/female (turning 55 in November) and had been paying for FEGLI for 20 years, and she reached out to me, because her friend just used us to ‘swap’ her coverage. This lady identified as Lucy, had $500,000 of death benefit coverage (5x Option B on her $100,000 Salary), and wanted to keep the same death benefit through and beyond her working years. Lucy had heard from her friends at work that her life insurance premiums were going to increase from $119/mo to $216/mo on December 1st (the 1st day of the month after her 55th birthday). We were able to secure Lucy a $500,000, 20 year LEVEL term policy at Preferred Best rates at an A+ rated life insurance carrier for just $91.00 per month. That simple move saved Lucy more than $106,000 over the next 20 years…see the chart below. Don’t get me wrong. We are not talking about FEGLI Options A or C – both of those seem like great values for most employees. Also, FEGLI Option B is a great opportunity for those employees that are either under 35 years of age or for those that are in poor health and can’t qualify for individual life insurance on their own. If you’re in either of these two categories, my advice is to max out the FEGLI Option B benefit to the extent that you can afford the protection! However, if you are in good health and/or over age 36 and enjoy the life insurance protection, you have options! Life insurance brokers or financial planners are a great resource to discuss your personalized options, especially if they work in this FEGLI space. Some agencies even have calculators designed solely for government employees, where you can run multiple comparison quotes for yourself on one screen at your leisure and apply for coverage right online over a SECURE website. Give yourself a raise! We recommend reviewing your FEGLI Option B Life Insurance rates immediately. If you can lock in lower rates, we definitely suggest you apply to swap your coverage and realize YOUR savings. Most carriers will require a FREE, no-obligation Paramedical exam, and you can get the results of the lab information for free as well. An added bonus of the procedure is getting your health information mailed to you for free. And finally, only cancel your FEGLI Option B coverage AFTER you receive a formal and acceptable life insurance underwriting decision from a reputable life insurance company. Oh, and some friendly advice – if you haven’t renegotiated your rates with your local tv/internet/phone provider, call them and ask them to “sharpen their pencil” on your bill. Chances are, you’ll save money there, too! An award-winning, 23-year veteran in the Life Insurance marketplace, Kristopher T. Smith is President and Owner of both FEGLIswap.com and Midwest Life Brokerage, in Aurora, Illinois. Kris enjoys both partnering with local agents and selling insurance directly to consumers open to saving premiums within their life insurance portfolio. © 2019 Kristopher T. Smith. All rights reserved. This article may not be reproduced without express written consent from Kristopher T. Smith. 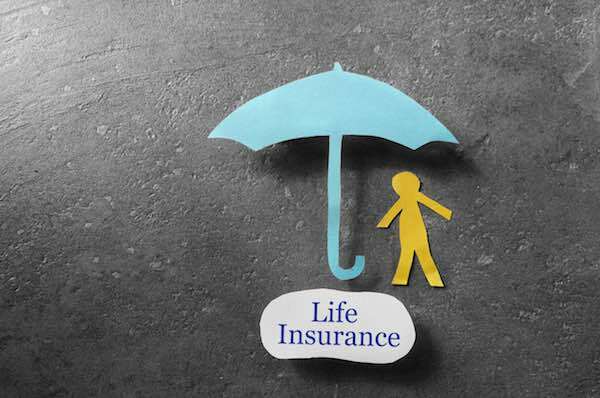 Life Insurance… Now for the Living!